Gigs available at KALW – a fab station! KALW's award-winning reporting project The Spiritual Edge is seeking an experienced editor(s) for three exciting projects. Email judysilber@gmail.com for more information. 1. KALW Public Radio seeks an experienced part-time audio editor to work on an exciting project that will profile leading human rights activists around the globe. We just finished selection of a small group of seasoned and talented journalists and are now seeking an editor to help guide the reporting, edit scripts and mixes, and help design the overall sound and feel. The ideal candidate will have past professional editing experience, is a creative thinker, works well collaboratively and is interested in telling nuanced stories about religion that neither vilify nor exalt. International reporting or editing experience is a plus. Bay Area residence is preferred. Second best would be within the Pacific standard time zone. And if you’re really good, and are located elsewhere, we still want to hear from you. KALW is a chill, fun, creative working environment where audio journalists are encouraged to experiment and grow. Women and POC encouraged to apply. Deadline to apply is Tuesday, April 23. Please include a resume and cover letter that tells us why this project appeals to you and why you think you’re qualified. Please also include clips that you’ve edited and a note about how you contributed to the final product. Send to thespiritualedgeradio@gmail.com. 2. KALW Public Radio seeks a part-time editor to become part of a team working on an eight-part broadcast/podcast series about a Native American tribe in Northern California. The project is complex and ambitious in the ground it hopes to cover. The tribe is fighting to save its sacred sites. In addition, the series will wrestle with how the state and federal government approach water resources, land ownership, and recognition of tribes and their religious rights. Our ideal editor has great storytelling skills and journalism chops to help guide two reporters as they do original reporting. The reporting will cover questions about the tribe’s loss of land, the reasons for its non-federally recognized status and a water district pushing policies that would irreversibly harm sacred sites. Once the reporting is done, the editor will be expected to work with the journalists on structure, script writing and sound design. We’re looking for someone with previous professional editing experience. S/he has edited complex subjects that involve cultural sensitivity and has experience working with the Native American community. The candidate enjoys getting creative when it comes to sound. Bay Area residence is preferred. Second best would be within the Pacific standard time zone. And if you’re really good, and are located elsewhere, we still want to hear from you. Total compensation is $24,000. We anticipate doing regular check-ins with the editor through about October, which is when we plan to start writing scripts and when the work of the editor will become more intense. Release of the podcast is planned for early 2020. KALW is a chill, fun, creative working environment where audio journalists are encouraged to experiment and grow. Women and POC encouraged to apply. Deadline to apply is Tuesday, April 30. Please include a resume and cover letter that tells us why this project appeals to you and why you think you’re qualified. Please also include clips that you’ve edited and a note about how you contributed to the final product. Send to thespiritualedgeradio@gmail.com. 3. KALW Public Radio seeks a part-time editor to become part of a team working on a seven-part broadcast/podcast series about Muslim converts in the United States. The series is part of KALW’s reporting project The Spiritual Edge which began airing stories in 2014. We’re launching a podcast in which we’re using religion as a tool to tell complex stories and go deep into one of the fastest growing religions in the world. Our ideal editor has great storytelling skills and journalism chops to help guide an experienced KALW reporter and one-two freelancers as they do this original reporting. The series about Muslim Converts will center around personal stories, but also investigate trends such as the religious dilemmas faced by many American women converts, the Black Muslim movement and online radicalization. We’re looking for someone with previous professional editing experience. S/he has edited subjects with cultural sensitivity and ideally knows something about the Muslim community. The candidate enjoys getting creative when it comes to sound. Bay Area residence is preferred. Second best would be within the Pacific standard time zone. And if you’re really good, and are located elsewhere, we still want to hear from you. Total compensation is $24,000. We anticipate that the total length of the project will be about a year. This will include regular check-ins followed by bursts of more intense activity as stories are being scripted and edited. Release of the podcast is planned for spring of 2020. See below for an opportunity from the USC Center for Religion and Civic Culture. $5,000 per profile, plus a stipend for expenses. More info below. 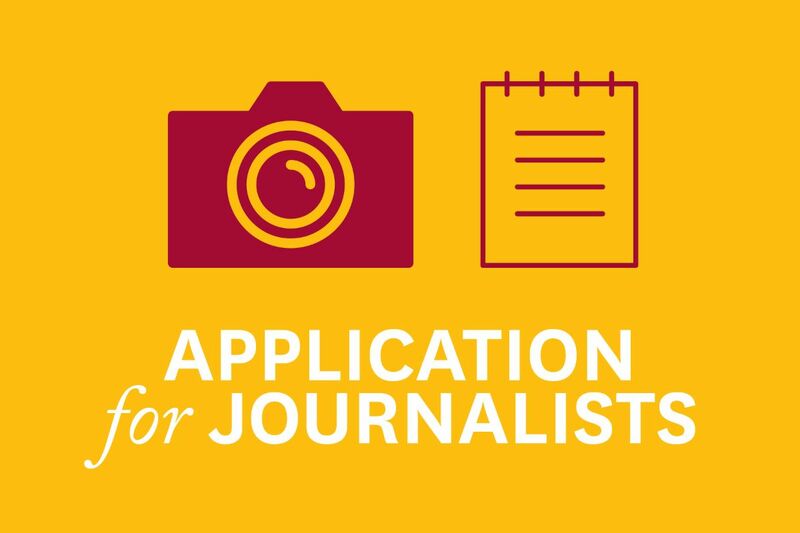 CRCC is seeking applications from journalists to profile spiritual exemplars around the world. About 12 journalists will receive stipends and travel expenses to produce profiles, and will have editorial freedom to publish them with CRCC or outside media organizations. Bay Area radio reporter friends – a station in Northern CA seeks help with fire coverage. Info below. stories that need to be told to the listeners in northern California. Do you have a story with perspectives on an ongoing local, national, or global issue? Do you have access to voices and perspectives that get lost in mainstream media landscape? How are people working to cope, and change things? If so, consider pitching to Making Contact! We’re looking for pitches from freelancers on several themes. See list below. Immigration: We want your pitches! We’re looking for character-driven stories that focus on how immigrant communities are organizing. The Muslim Ban is in effect, Southeast Asians have been swept up in large numbers to private prisons, how are communities responding? How are groups working against far right politics? Got an idea, let us know! Climate Change: “Climate Resilience” and “Just Transition” are terms used by environmental justice advocates and academics to mean various things. We want sound-rich stories that explore these terms in practice. How are communities working not just to survive but thrive? How are low-income communities of color, expected to be hit hardest by climate change developing ways now to cope “later?” Unequal impacts of climate change on women? We’re looking for stories that break out of the gloom and doom,and makes policy discussions accessible and instead give a glimpse of people coming together to take steps now. Pitch us stories about various bottom-up and grassroots organizing methods and tactics against privatization, land grabs, U.S. military presence, economic experiments. In addition to the above, we’re always interested in pitches on any of our ongoing beats: prisons, poverty, reproductive health, racial justice, climate change and environmental justice. As with any pitches you send us, please check out our show and read our guidelines before you pitch. http://www.radioproject.org/production/submission-guidelines/ Consider the following. Does the story: Link grassroots issues and human realities to national or international trends? Give listeners a historical, political, or social context of major national and international events? Shed light on social and economic inequities? Explore any alternatives or solutions? BTW: Full 26 min Documentary $1000 for veteran producers to do a full documentary edition. An exclusive is not necessary but air dates need to be discussed. Hey folks. A very cool org – the Global Press Journal – is hiring a team of freelance fact checkers. Details below! Global Press exists to create a more just and informed world by employing local journalists to produce ethical, accurate news coverage from the world's least-covered places. We train and employ local women journalists to report on their own communities, and have more than 40 independent news bureaus across two dozen countries. Find out more about us, and the work we do, here: https://globalpressjournal.com. We’re currently looking for experienced freelance fact checkers to join our team. It’s an exciting opportunity to be part of a project that prioritizes accuracy and ethics in reporting. We have a unique method of fact checking that prioritizes local information over what’s available online, so open minds and people not afraid to hop on a Skype call with reporters around the world are required! Must have an expert eye for detail and willingness to leave no stone unturned. We’ve got expansions in the pipeline, so there’s lots of work to be done, and we pay well: $100/article to start. Skills in the languages our reporters file in – French, Spanish, and Nepali – are a big asset. Send a resume and cover letter to me at carla@globalpressjournal.com. If we think you’d be a good fit, we’ll ask you to complete a brief fact check test, and if that goes well – you’re hired. Feel free to contact me with any questions, and looking forward to seeing your applications! Great gig available in the Bay Area – a big one!! Spread the word. KALW's beloved General Manager Matt Martin is leaving and we're looking for the next GM. This is a rare, unique opportunity for the right person! Do you know someone who can lead and grow this scrappy, creative gem in the public radio world? We're open to people inside and outside of public radio; non-profit/business management experience is a must. part-time GM position with community station in Sun Valley, ID, ski pass included! KDPI is looking for a highly motivated and inspired person to manage our day-to-day operations, establish sustainable standards and practices and grow the station to its full potential. With an intense passion for narrative and public radio, the ideal candidate brings experience, vision and strong management skills. KDPI 88.5 FM is a young but established community station in the vibrant resort town of Sun Valley, Idaho. Benefiting from a community with a strong economic base, nestled in the majestic Sawtooth Mountains, Sun Valley is a place of unparalleled beauty and opportunity. With a strong devotion to the arts and education, our valley is a draw to anyone seeking an active lifestyle and a sophisticated, intellectual community. We are a uniquely situated resort town with local flair. Our valley serves as a virtual playground for adventure junkies and solitude seekers alike, while still offering abundant opportunities for the arts and education. It is a diverse hyper-local environment with incredible places to enjoy every passion. Compensation: Because of the unique environment within Sun Valley, KDPI is offering a creative compensation package that will include salary, a ski pass and a half time position that allows for the opportunity to experience the incredible outdoor life that our town provides.